With millions of tourists visiting Mallorca every year, there are thousands of hotels all across the island. All resorts have good quality hotels which are usually 3 and 4-starred, offering swimming pools and good facilities. These types of hotels tend to be reasonably-priced, especially in off-season periods where there is less demand. Many sizeable hotels and apartments in the resorts tend to be block-booked by package tour operators. High quality 5-star hotels are also in abundance, with Palma playing host to many of these top establishments. There are also some famous 5-star hotels on other parts of the island which exude opulence and class. 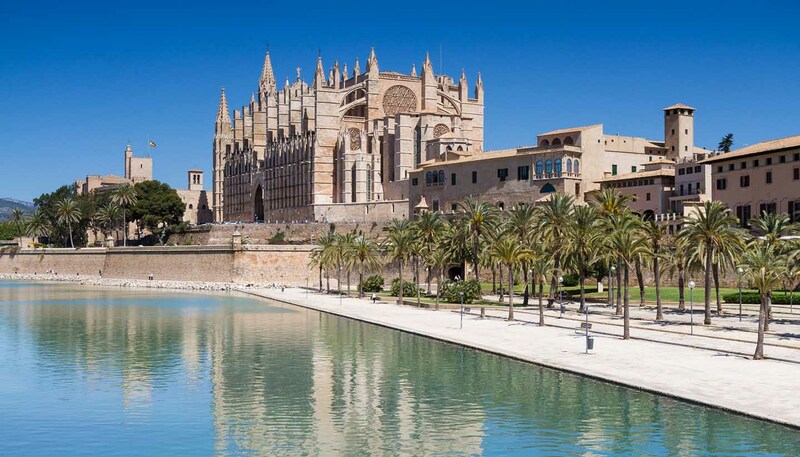 Lower-starred hotels and hostels are less common because of the availability of well-priced hotels, but there is a handful of pensiones and hostels in Palma and in scenic spots around the island which cater for budget travellers. Monastery stays offer basic rooms, but a unique (and very tranquil) experience with some of the most spectacular views on the island. Agriturismo (rural tourism) has seen an incredible boom in the last few years, and today there are some beautiful, traditional and very high quality rural hotels scattered across the island. Offering sumptuous rooms, fine dining, often spas and access to pristine countryside or idyllic villages, they are an ideal way to get away from the crowds and enjoy rural Mallorca. Bed and breakfasts in the traditional sense are relatively rare in Mallorca, probably due to the abundance of other accommodation options. In some of the towns and villages that cater to tourists (such as Sóller) it is possible to find one or two bed and breakfasts. This is not a popular option (largely due to the availability of cheap accommodation elsewhere) but there are campsites at San Pedro, near Artá and at Platja de Muro, near Alcúdia. The Spanish Youth Hostel Network (REAJ) offers two youth hostels, in Palma and Alcúdia. Holiday rentals are big business on the island too. From simple flats to extravagant country mansions and everything in between, holiday lets allow for independence, self-catering and a real taste of living on the island.